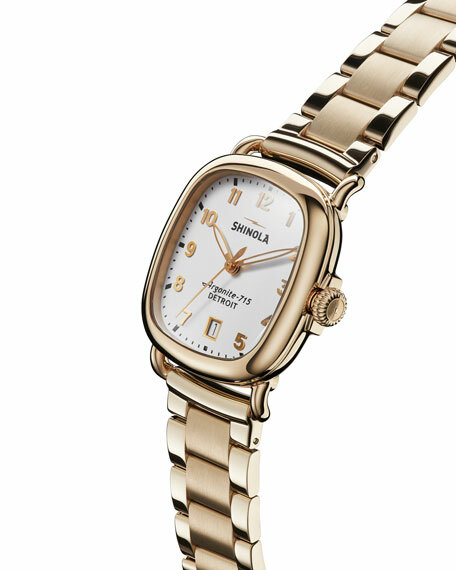 The Guardian chronograph bracelet watch by Shinola. 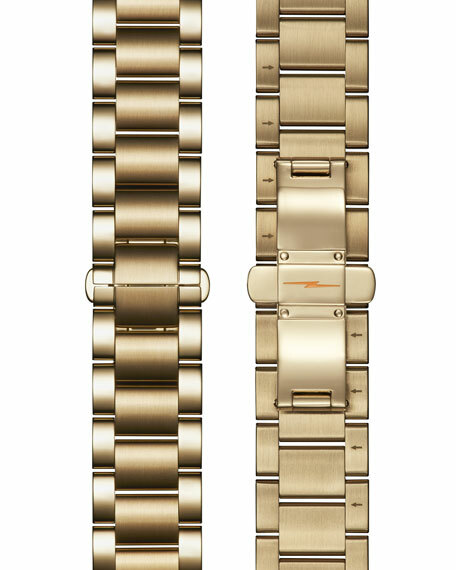 36mm two-tone stainless steel case and hardware. White dial with baton and Arabic numeral indices. Three subdials at center; date indicator at 4:30. Case back plate with laser-etched serial number. Three golden winding crowns; 60-minute bezel. Eppie diamond pav?? bezel watch from Gomelsky. 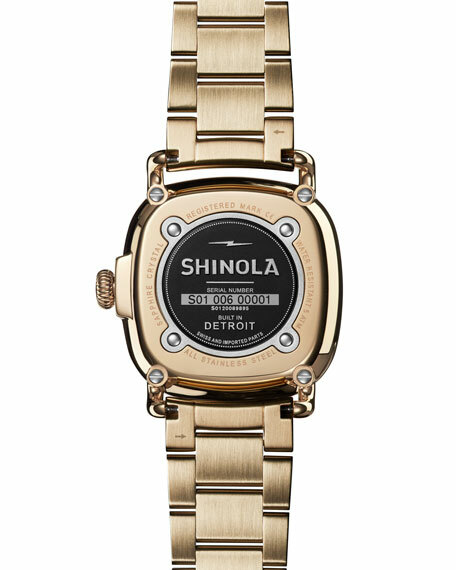 32mm square rose golden stainless steel case. Alligator strap with thorn buckle clasp. Eppie diamond pav?? bezel watch from Gomelsky. 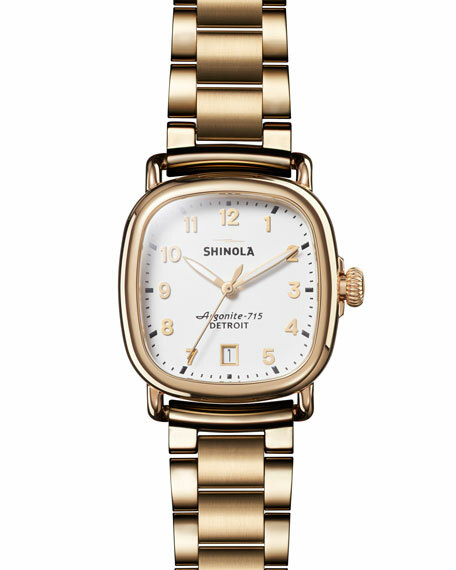 32mm square rose golden stainless steel case. Alligator strap with thorn buckle clasp. Diamond pav?? bezel; 0.65 total carat weight. Mother-of-pearl dial with 12 o'clock logo text. Water resistant to 3 ATM. Two-hand movement. Made in USA.